Still work part-time, but trying to not let that interfere with traveling too much. Involved with Disaster Relief ministry (see below). 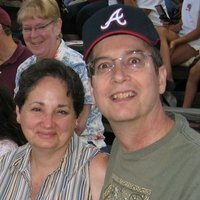 Wife is retired Special Education teacher's assistant. Both of us enjoyed many years leading our church's Special Education ministry. Being able to travel and experience this amazing world makes us realize how blessed we are. With natural disasters occurring more frequently it seems, I would like to encourage all of my Boondockers Welcome friends, especially those that are retired, to get involved with a volunteer organization to help with disaster relief or some other kind of community help. Being mobile and self-sufficient we can be a great help to communities suffering from natural or other disasters. We are involved with our church denomination's disaster relief ministry and have helped in numerous flood disasters over the years. It is best to have some training and credentials to help in a disaster area, but there are ways non-trained volunteers are able to help. 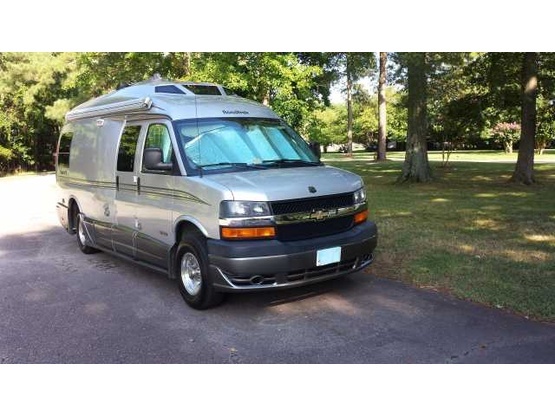 Those of us that can afford the RV lifestyle have been blessed and we should give back to help those in need. So check with your church or faith based organization (Samaritans Purse, Operation Blessing, ...), the Red Cross, Team Rubicon (active and non-active military), Habitat for Humanity..... The list goes on and on. And there are great needs for non-construction areas as well: administration, food prep and deliver, child care, gophers (to pick up and deliver stuff), etc. There is a job for any skill or even those that feel they have no skills. Don’t get discouraged when you try to volunteer because sometimes the help organizations are not as “organized” as they could or should be. Be understanding and flexible. This isn’t in the Bible but it is good advice: Blessed are the flexible for they shall not be bent out of shape. I apologize if I sound preachy here but there are so many that really need our help and we can help them. I can guarantee that you will be blessed as well; we always have been. I have pretty good mechanic and DIY skills; but not a Pro. Our travels in the east have been great too: Acadia National Park (ME), White Mountains (NH), Adirondacks (NY), Grayson Highland State Park (with wild ponies, VA) come to mind. 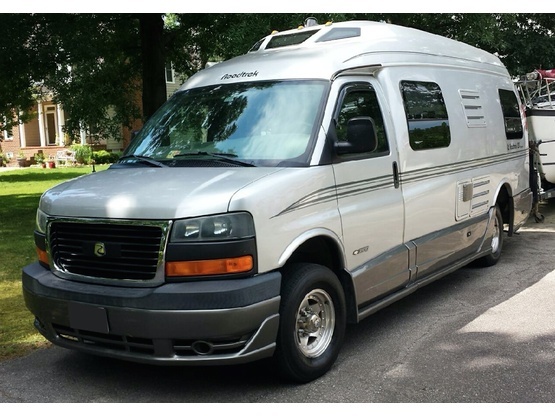 We have had a 2006 Roadtrek Class B van for 6 years now. I use it as my daily driver to work and around town. I have made many mods and upgrades, with a list of more I would like to do. We like the flexibility it gives in traveling and boondocking. Pete and Letty have become our friends that we will know for a long time to come. They have hosted boondockers who have traveled from their place to ours, and visa versa. The "French Family", comes to mind. Any host will be pleased to meet Pete and Letty. Pete and Letty are warm and friendly. We truly enjoyed their Spirit and zest for life. We hope to see them again soon! Welcome here anytime in St. Augustine. Very considerate couple. We didn’t actually make it to Pete’s due to severe rain and thunderstorms. We ended up spending the night in a Walmart only half an hour or so from Pete’s. We kept in contact with Pete but after several hours of driving in torrential downpours and flooded roads we had no choice but to find somewhere to park. Pete was gracious enough to let us know that our safety was his first concern and that we could arrive at his place if the weather broke no mater how late it got. I hope we get to meet Pete on another trip! Thanks Pete for being so understanding. Would highly recommend staying with PeteRT. Accepted our stay on a very short notice and we are so glad to have not missed the opportunity to meet this wonderful couple. Lovely setting, didn't even have to disconnect. We were able to sit and talk about all kinds of subjects, confirmed our interest into ways to help others in need as we travel. Would love to have stayed longer and explore the area. Definitely hope to meet up with them again. Pete could not do enough for us, even fixing a broken RV door handle. Highly recommended. Really nice friendly couple. We had a long chat about rving and travel. Together we resolved a couple of issues for my van. Altogether a pleasant experience. Stayed with our amazing hosts for 2 nights. We enjoyed sharing camper modification ideas. 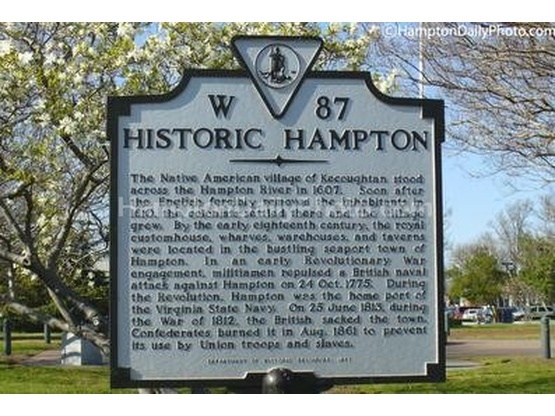 They gave us great info on things to see/do in Hampton, Va. Hope to see them again as we have an interest in disaster relief and they are seasoned volunteers. They are welcome to stay with us anytime. Thank you very much for your welcoming. Thank you a lot and we very hope to see you again. It was great staying with Pete and his wife. He responded quickly to my request and let me boondock even with short notice. I had good internet access and 15 amp power. If I am in this area again I look forward to spending time with them. We thoroughly enjoyed our stay with this hospitable couple! They went to great lengths to make sure we were comfortable and felt at home. We shared a lovely meal and enjoyed spending time getting to know them. They were so great with our kids and were ever so helpful planning our journeys and giving us local information. Our only regret was not being able to spend more time with them. Stayed one night with Pete & Letty, nice area and a level paved parking spot. Enjoyed meeting our hosts and the tea and coffee cake was good. Would gladly stay again and hope we can reciprocate on a trip to our area.